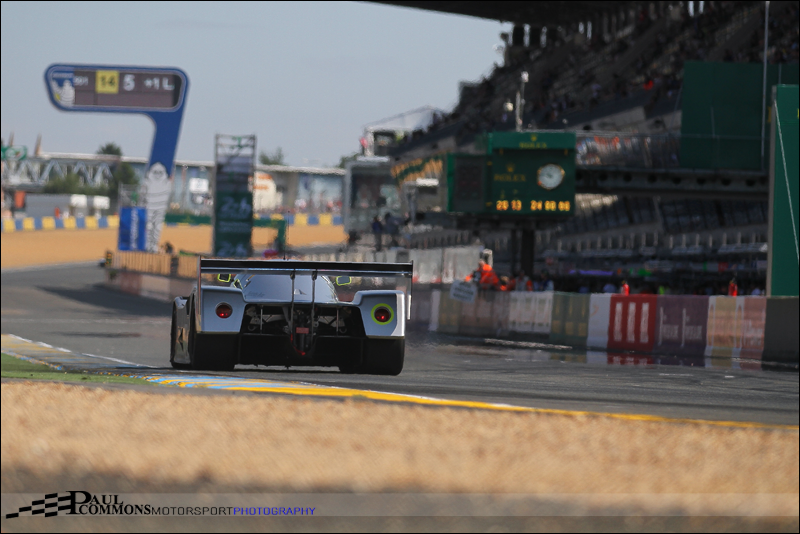 With three major teams in with a shot at taking victory and an unbelievable weather forecast the 2014 trip to Le Mans was eagerly anticipated. Annual leave restrictions and work load, although meaning a shorter visit this year, were not going to stop us heading to the circuit de la sarthe for the fourth time in as many years. A 1.30am alarm clock was different to say the least! However this was nothing compared to Dad’s 11.30pm Wednesday night buzzer in order to pick me up. A quick driver change (not quite up to Audi’s efficiency) saw me take the wheel for the second stint and in little over 3 hours life seemed normal again after annihilating a McDonald’s breakfast at Maidstone Services. There were 2 reasons for the ridiculously early start: 1> To make sure our diversion around the famously destroyed Rouen bridge would actually work and 2> I just had to make the thursday night pole position shoot out. Travelling on the Thursday does have its benefits. This happens to be the most popular day for Brits to make the journey down, and arriving slightly early at Folkestone for the Channel Tunnel allows time to have a good look around some of the stunning sportscars parked up ready to board the big train to Calais. The ferry may be cheaper but with the crossing taking roughly 30 minutes I wouldn’t consider any other method of traversing the Channel. Dad had pulled off a master stroke with his Rouen diversion and after a reasonable amount of Euros spent on the tolls, the consumption of two family sized bags of sweets and a couple of stops to prevent the old man falling asleep at the wheel we had reached our destination. Having read the horror stories, on-track camping has never really appealed to us. 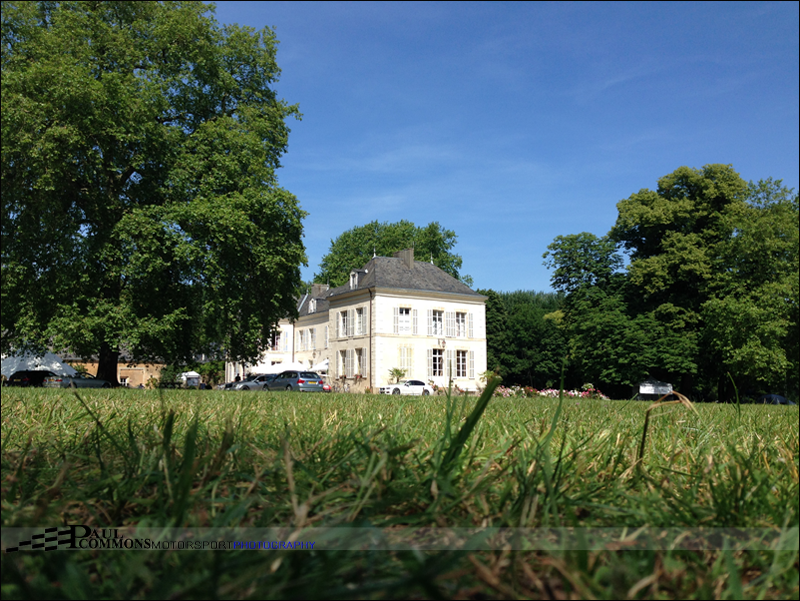 Instead, for the fourth successive year, we pitched up at the beautiful Chateau de Chanteloup (a mere 15 miles from the track). I cannot recommend this site highly enough. It may not be the cheapest option but it attracts a friendly crowd of mostly Brits with the odd Dutchman and German thrown in. The owners have massively bought into the 24 hour week. The football is shown on a huge widescreen TV, there is a live band and they even put on a car show. For people not wanting to drive to the circuit there is a meeting point to set up for taxi groupings, whilst on-site Brit Assist is available for any car related problems. And most importantly there are a damn site more clean toilets and showers per head! With what seemed like plenty of time to spare we headed off to qualifying. MISTAKE – Having followed the blue car parks signs to our pre paid car park we got caught up in the queues for circuit camping. Some 2 hours later we were parked up having missed the first 30 minutes of the first session. However this was no real problem as the expected pole setting final session would not start until 10pm. On track, early suspicion about Porsche going for pole was confirmed with both cars looking strong. Early on in the final session however it was the super fast Kazuki Nakajima in the much favoured #7 Toyota who would head to the top of the times. After a mid session lull the final 30 minutes were eagerly awaited. Many crews not aiming for position but merely wanting to ensure that all drivers have done the necessary laps tend to call it a day by 11.30pm. This leaves more space on track for the main players to battle it out for the top spots in the cooler, faster conditions. It was therefore massively disappointing that ex Formula 1 driver Karun Chandhok would go off and cause a new for 2014 ‘slow zone’ for the remainder of the session. This represented a huge anti-climax to a very long and tiring day. It was however worth the effort to see Dad’s infamous falling asleep whilst stood up act, which was met with great amusement by several passers by. He had been up for more than 24 hours however and did a great job of getting us back to base by 1am. After a very tiring day a relaxing Friday was definitely what the doctor ordered. 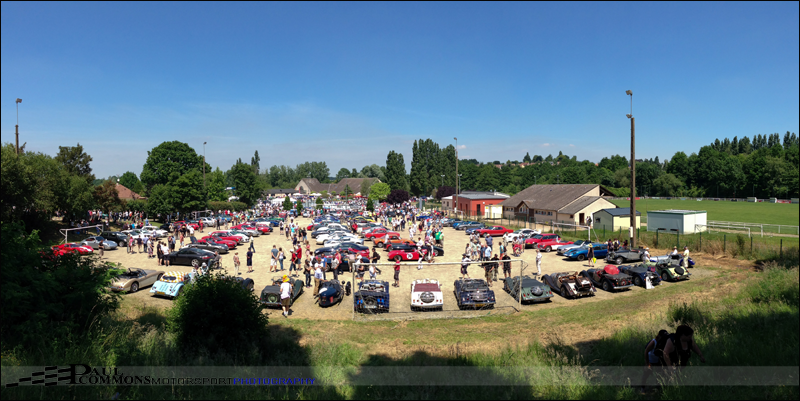 With no track activity we decided to head to the very popular ‘Great British Welcome’ car show at Saint Saturnin. 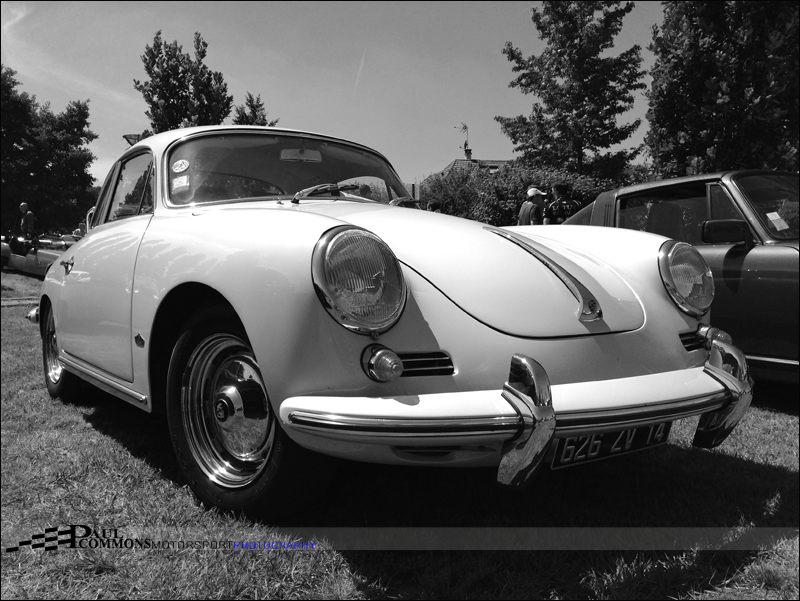 This was made extra special with it being a Porsche celebration year as fine examples of the German Marque were everywhere. The race going 935 and the classic 356 were my particular favourites. Not forgetting a fine set of TVR’s and a stunning classic Corvette Stingray. 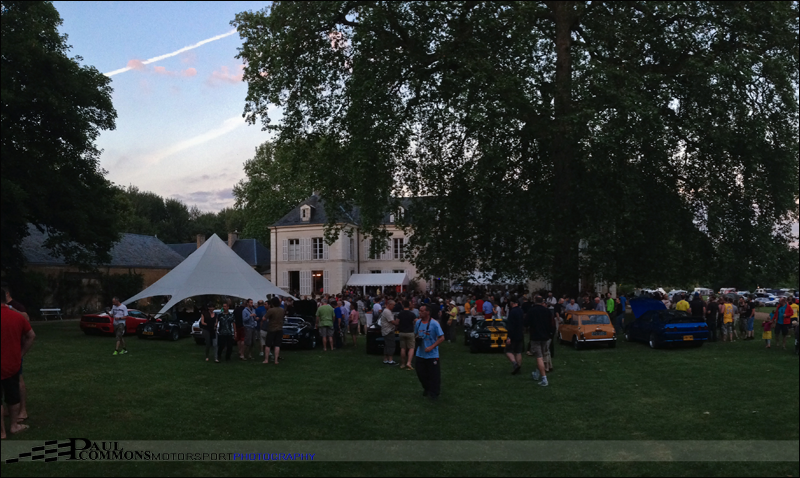 With mad queues around Arnage we decided to head back to the site to sink a couple of Saint Omer beers whilst splitting our attention between the World Cup, the traditional on-site car show and the very good JC & The Two-Steps band who were playing live on the terrace. 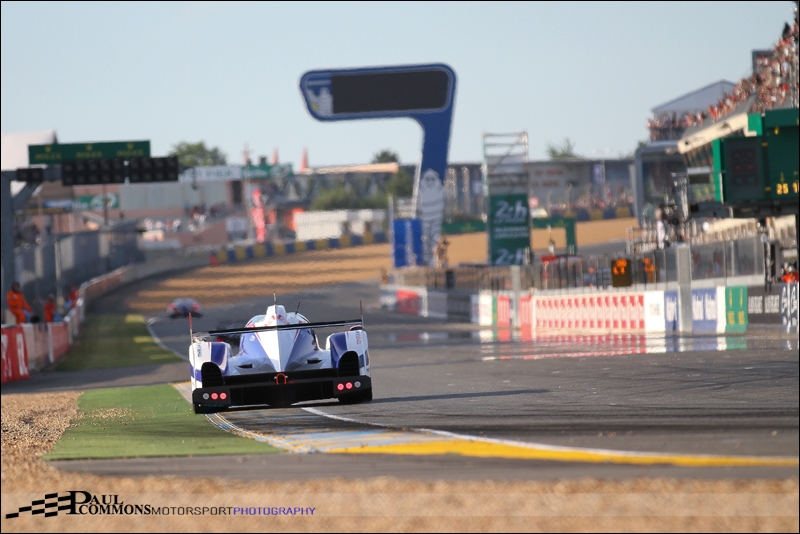 The best Le Mans weather in ten years was only adding to the pre-race excitement. With an estimated 260,000 spectators attending the race, a grandstand seat is a must and the Ford Chicane gives a great view of the start and end to this marathon of an event. Thus also allowing for a relaxing morning watching the support events and milling around the mechandise stands. The total cost of entry including a guaranteed seat with an excellent view still amounting to less than general admission for the British GP! Which just goes to show that F1 is one almighty rip off! Having fond childhood memories of the Wheatcroft Gold Cup races at Donington it is always a pleasure to see the fabulous Group C machines on track; I would have loved to have seen these in period at Le Mans. It was a mighty shame however that Derek Bell didn’t get chance to get behind the wheel; car problems preventing the 956 from making the start. We did however see a couple of Sauber Mercedes C11’s, a plethora of Porsche 956 and 962’s, the Nissan R90CK and of course a couple of Jags. 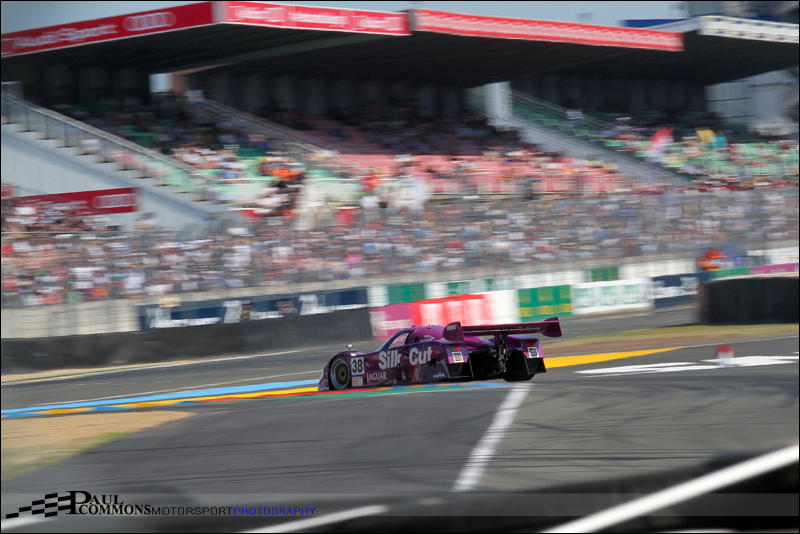 There is nothing quite like the start of the 24 hour race at Le Mans. The long formation lap and awesome atmosphere created by a huge crowd gets the butterflies fluttering in the stomach; everyone on their feet as the rolling grid appears at Ford Chicane, followed by the almighty roar as 50 odd drivers step on the loud pedal at the sudden appearance of the green light. The ultimate pace of the Toyota’s was evident from the start, however Audi looked to be stronger in race trim and were not dropping back as quickly as expected. Porsche however were struggling and were swallowed up by their sister marques. Although rain showers were forecast no-one could have anticipated the velocity at which it came down. With some cars trying to stay out on slicks or intemediates and others on wets the difference in speed on the Mulsanne Straight was massive. It is questionable whether the #8 Toyota in the hands of Nic Lapierre and Sam Bird in the #81 AF Corse Ferrari were taking too much of a risk in the conditions as they went off; Bird’s Ferrari colliding with the slow #3 Audi of Marco Bonanomi. The #3 and #81 would be out on the spot but the #8 Toyota somehow made it back to the pits. It was effectively out the running for the victory though having lost several laps whilst repairs took place. The remaining #7 Toyota managed to hold a healthy lead of roughly 2 minutes as the cars headed into the night with the two Porsche’s and two remaining Audi’s in pursuit. When I left the circuit at roughly 3.30am for a couple of hours sleep It looked like the Japanese manufacturer was well on the way to victory. 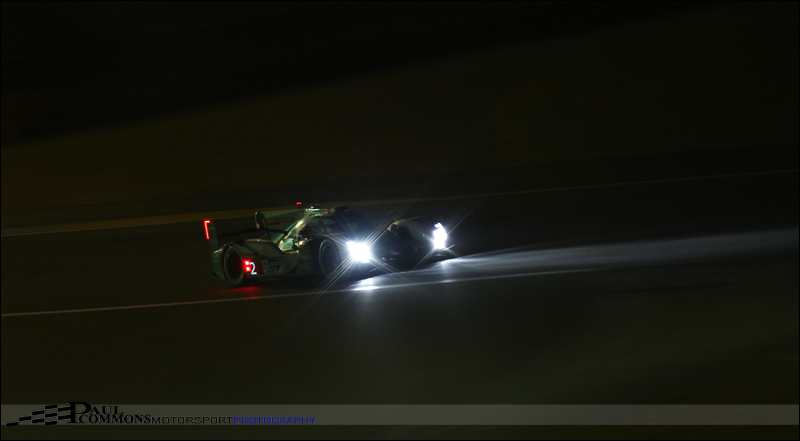 But as we all know anything can happen in this long slog of an event and I awoke at 5.30am to the devastating news that the sole remaining TS040 had retired with electronic failure. This however did throw the race wide open and there was little to chose between the two Audi’s and the #20 Porsche of Timo Bernhard, Brendon Hartley and Mark Webber. And it would be the latter crew who would find themselves in the lead after both the #1 Audi and then the #2 both suffered turbo failure. The #2 managing to maintain an advantage over their team-mates thanks to the learning curve of the mechanics; shaving minutes off the time to replace the turbo at the second time of asking. The Porsche unfortunately just didn’t seem to have the pace as the race entered the closing stages and it looked like the Audi’s would catch it by the time the chequered flag was dropped. The spectators were in fact robbed of any battle taking place on track as Webber would soon have to retire the ailing #20 car. This left Audi to take yet another 1-2 finish and their 13th victory in the last 15 years. In my opinion this ranks right up there with their unlikely victories over the super fast Peugeot’s in the late 2000’s. It is refreshing that the new technology in the top LMP class has added back the reliability factor, with the race winning Audi still spending nearly 1 hour of the event in the pit lane! The race this year bears a little resemblance to the story of the Tortoise and the Hare; Toyota may have the faster car, in fact I am sure they will claim this year’s WEC crown but that is little consolation for retiring from the one event on the calendar that really matters! This may be a little cruel on Toyota but Audi know better than anyone that to finish first, first you have to finish. I hope I am wrong but I am not sure the Japanese manufacturer will get a better chance of taking the crown. The battle in GT was even better than the fight for overall victory. For much of the race there was absolutely nothing between the #97 works Aston Martin, the #51 AF Corse Ferrari and the #74 Corvette. 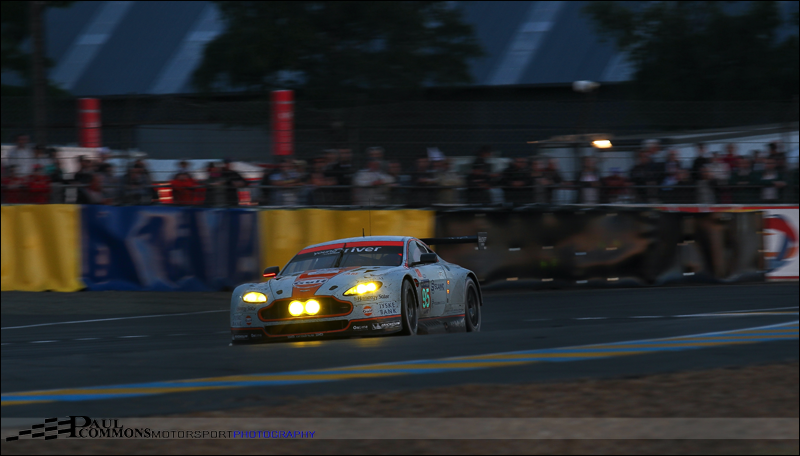 By dawn the American muscle car had dropped back but Bruno Senna was flying in the Aston and took the lead just after sunrise. It was short lived however as power steering issues would cost AMR the chance of victory. 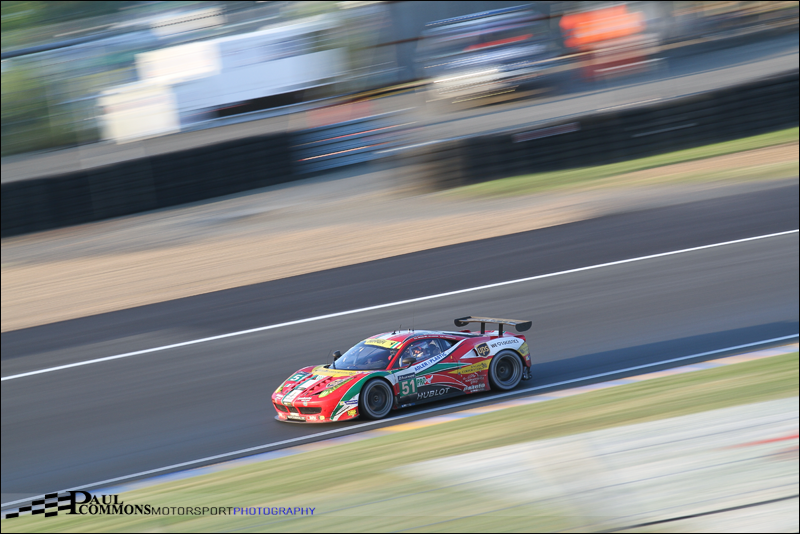 This left the very strong #51 AF Corse crew of Gianmaria Bruni, Giancarlo Fisichella and Toni Vilander to take the top spot in GT PRO. The #73 Corvette and #92 Porsche would round out the podium. In P2, the #35 Oak Racing Ligier, #46 TDS Racing Ligier and #36 Signatech Alpine all looked fast and capable of taking class honours. By morning however, the #36 had lost time, the Oak Racing car piloted by Alex Brundle, Red bull man Jann Mardenborough and GT Academy graduate Mark Shulzhitskiy was suffering with a misfire and suspension failure hampered the #46 Ligier. The #38 Jota Sport Zytek meanwhile was going like a tank. With all of silver driver, Simon Dolan’s, alloted driving time out of the way, it was left to the strong duo of Oliver Turvey and Harry Tincknell to bring the car home. And that they did with a fantastic 5th overall! It was great to see just how much it meant to Tincknell and Turvey as they leapt onto the podium at the end of the race; Turvey being a last minute addition to the squad to replace Audi bound Marc Gene; who in turn was a late replacement for the injured Loic Duval. In GT AM I was absolutely delighted to see the #95 (Dane Train) Aston Martin of Kristian Poulsen, David Heinemeier Hansson and Nicki Thim take a very emotional victory. This was ultra fitting after the tragic loss of the super fast Allan Simonsen in the early laps of the 2013 event. Early on Sam Bird had set the pace in the #81 AF Corse Ferrari only to be caught out by the rain. The #98 Aston Martin was also in the mix but it was the #88 Porsche of Christian Ried, Klaus Bachler and Khaled Al Qubaisi who would come home second followed by the #61 AF Corse Ferrari of Luis Perez Companc, Marco Cioci and Mirko Venturi. Another first for this year was getting on to the pit straight at the end of the race to see the podium celebrations. This was particularly special given the reception the #95 Aston crew received from the many Danes in attendance. I didn’t understand the winner’s speech but I imagine it contained some very nice words about their late, very rapid 2013 Le Mans team-mate. Having got to the track early on Saturday morning Dad had managed to park the car on the second row, meaning we were back at the camp site in no time. Just time to watch the France vs Honduras world cup game before a relatively early night in preparation for the long journey home. By 8pm, after a couple of stops and again avoiding Rouen bridge, I was back in Birmingham. This had been another great couple of days in Central France. A full Facebook gallery is available HERE. With selected better quality images on my Flickr feed.